Whether you believe in climate change and its possible effects on the weather, you need to be prepared for the Atlantic Caribbean Hurricane Season that is generally accepted to start on June 1 each year. The US National Oceanic and Atmospheric Administration (NOAA) Climate Prediction Center (CPC), says this Atlantic hurricane region includes the North Atlantic Ocean, Caribbean Sea, and Gulf of Mexico, so everyone in this swath of Earth should begin paying attention. 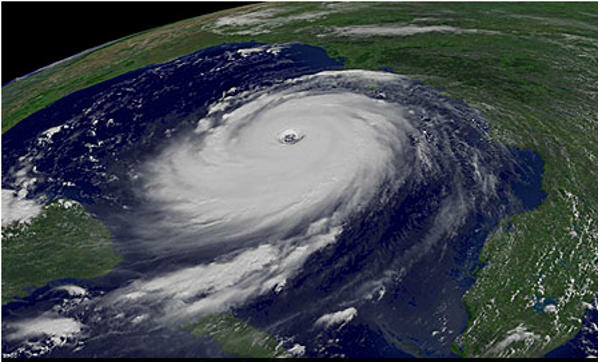 NOAA-CPC is predicting, “based on the current and expected conditions” there will be 8 to 13 named storms (winds of 39 mph or higher), of which three to six could become hurricanes (winds of 74 mph or higher), including one or two major hurricanes (Category 3, 4 or 5; winds of 111 mph or higher). , “a near-normal or below-normal” 2014 season. The outlook calls for a 50 percent chance of a below-normal season, a 40 percent chance of a near-normal season, and only a 10 percent chance of an above-normal season, NOAA said. “The predicted oceanic and atmospheric conditions across the MDR typify a near- or below-normal Atlantic hurricane season, and contrast with those seen throughout the current high activity era for Atlantic hurricanes that began in 1995,” said NOAA on its Web site. NOAA warns that where a hurricane/storm could make landfall cannot be part of long range forecasts: “It only takes one storm hitting an area to cause a disaster, regardless of the overall activity predicted in the seasonal outlook. Therefore, residents, businesses, and government agencies of coastal and near-coastal regions are urged to prepare every hurricane season regardless of this, or any other, seasonal outlook. One of the uncertainties of the 2014 outlook NOAA says, lies in exactly when El Niño will develop and how strong it will become. Another, in how much “the oceanic and atmospheric conditions across the MDR will begin to take on characteristics of the current high activity era for Atlantic hurricanes, as they have in most seasons since 1995”. According to NOAA. cooler Atlantic SSTs and a stronger El Niño could “produce activity levels near the lower end of the predicted ranges, while warmer Atlantic SSTs and a weaker El Niño could result in activity toward the higher end of the predicted ranges”. While the Hurricane Season hasn’t as yet been commercialized by big retailers in the way of “massive summer sales” or winter, spring or fall as the case may be, some have taken to couching their product to be part of our preparedness arsenals, which may be a not disagreeable public relations strategy. Generac, manufacturers of home standby generators in facilities in Wisconsin, USA, has secured the endorsement of the Weather Channel’s, Danny Lipford for its line as part of being prepared for power outages in a storm. 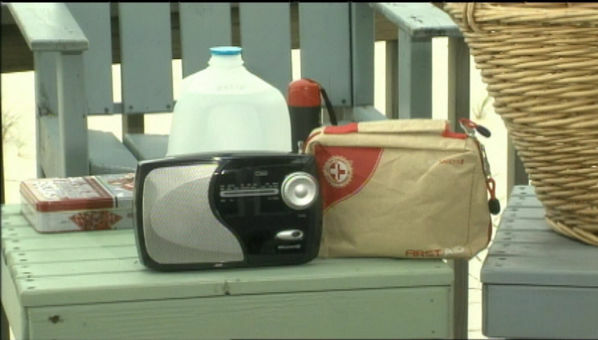 Lipford, the channel’s home improvement specialist, gives advice on prepping your home to prevent damage to the outside and Important purchases to have ahead of time. NOAA says the Atlantic hurricane season outlook will be updated in early August, which coincides with the onset of the peak months of the season.